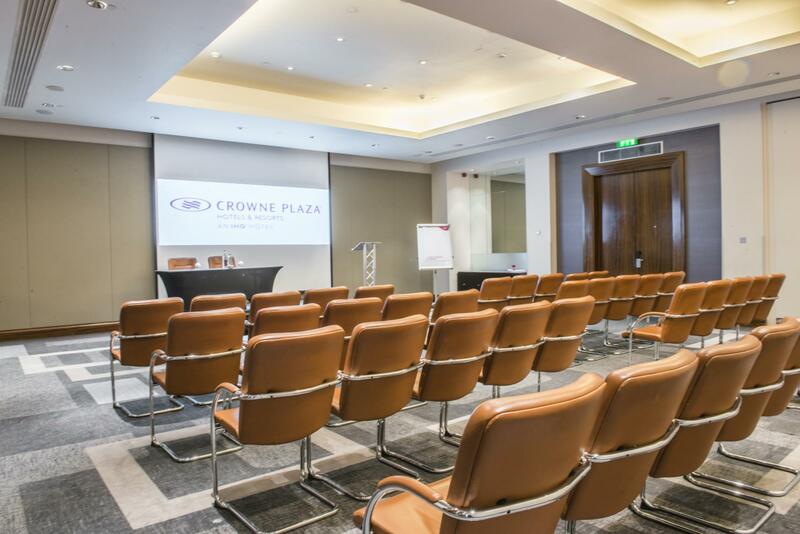 Located just a short walk from Temple and directly outside Blackfriars tube station*, Crowne Plaza London- The City provides guests with deluxe accommodation in a stylish city environment. 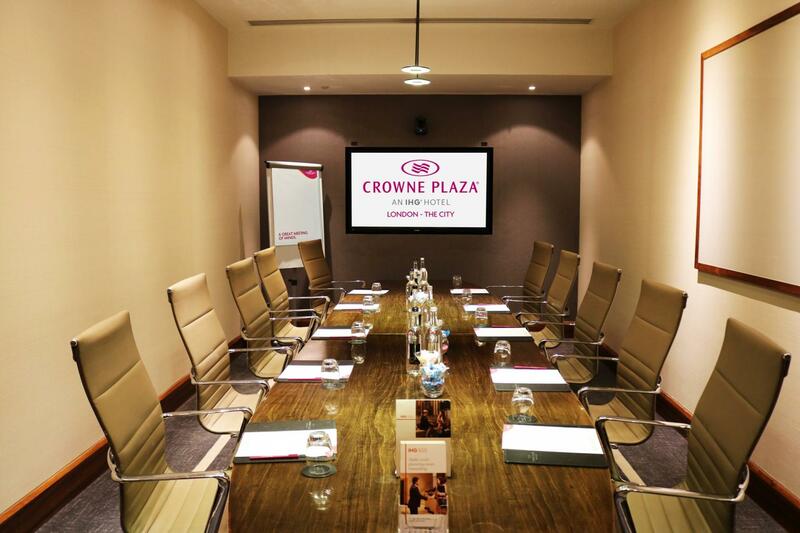 The contemporary designed guest rooms and facilities, include Crowne Plaza Club rooms, King studios and suites, with complimentary access to the exclusive Crowne Plaza Club Lounge. 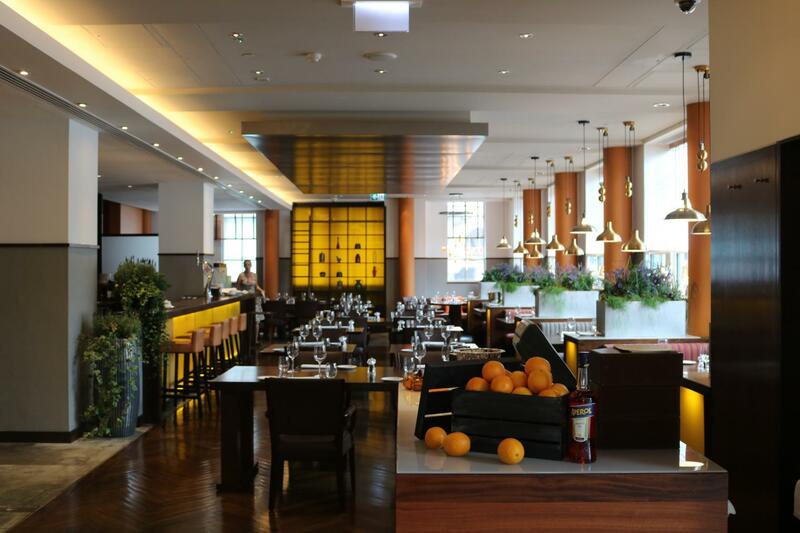 The hotel also offers a fantastic variety of dining and culture with its critically acclaimed restaurants including Chinese Cricket Club and Diciannove. 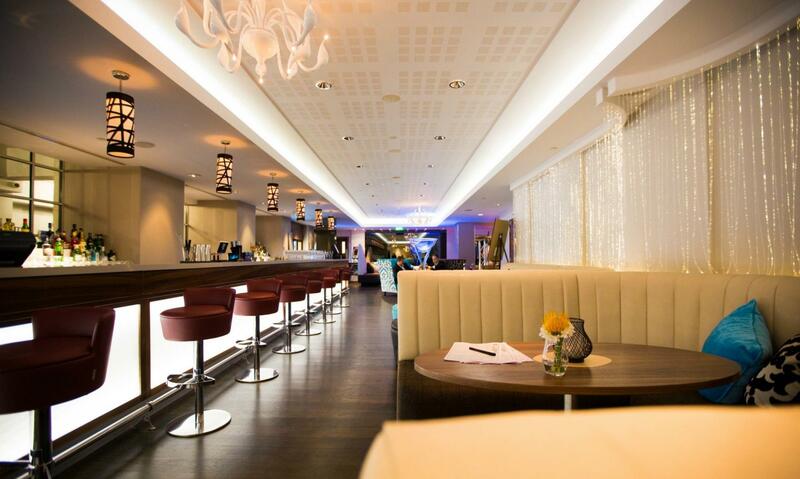 You can also enjoy the informal atmosphere of The City Lounge where we recommend that you sample The Biggest Burger in Town. 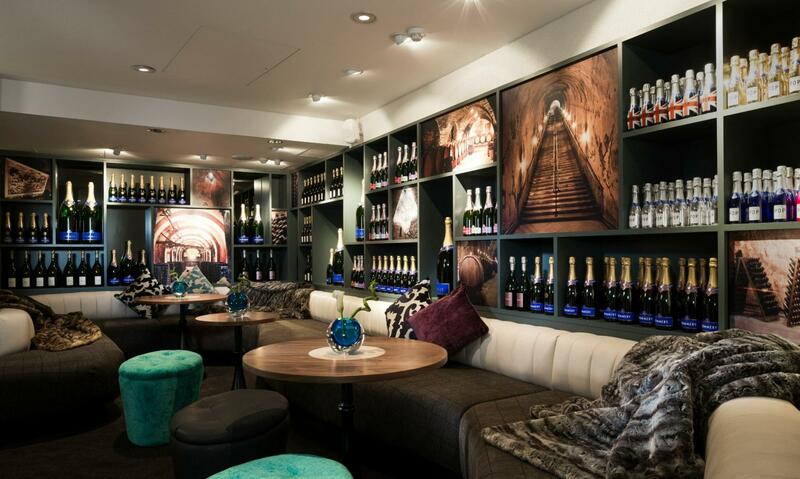 The hotel also has the modern Voltaire Cocktail and Champagne Bar serving an array of refreshing beverages and exotic cocktails. 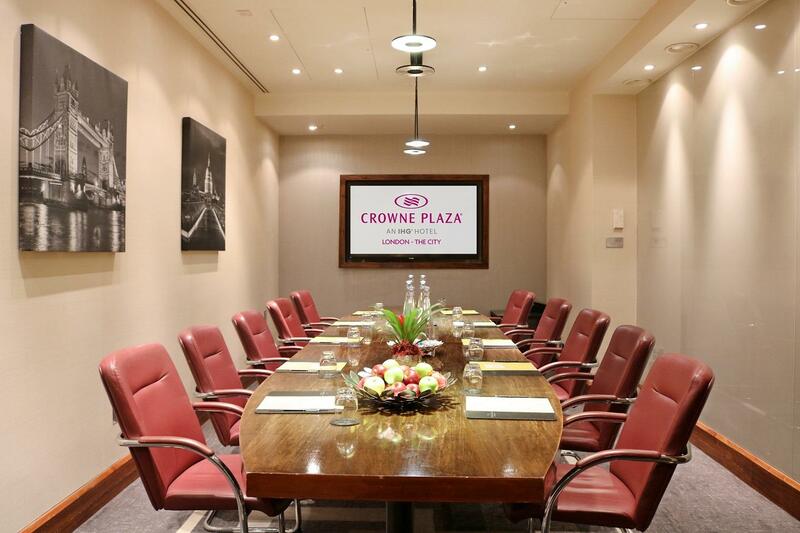 So whether you are visiting London for business or leisure in the heart of The City, Crowne Plaza London-The City is ideal to suit your needs. 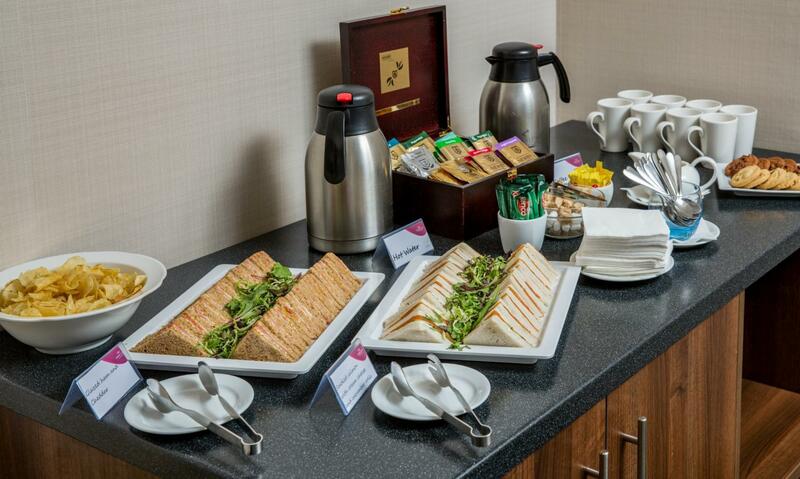 Located on a self-contained Conference Floor, Bridewell Suite is the largest of the meeting spaces at over 185sqm and can be split into two rooms or joined together to provide the perfect space for a bespoke business meeting, birthday or party celebration. The contemporary styled suite is supported with wonderful acoustics and internal speakers in the ceiling for background music. Additional features include a 3000 lumen integrated projector, 8 ft by 13 ft screen and a stage. 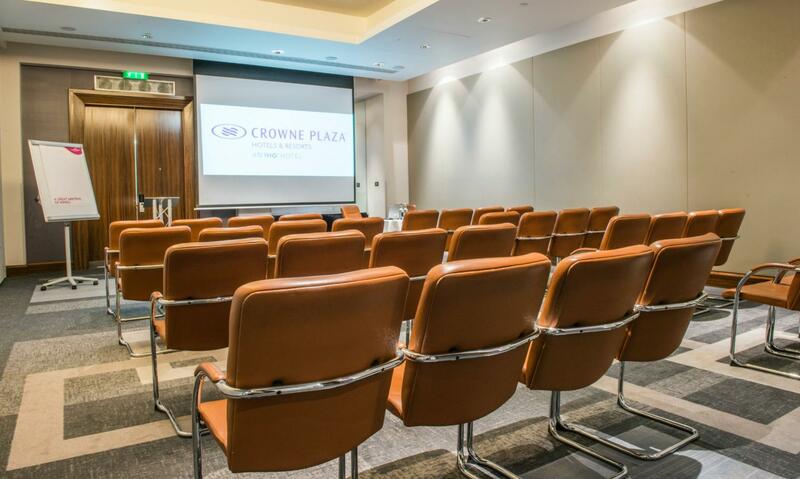 The largest side of the Bridewell Suite, Bridewell 1 is an inter-connecting room which creates a wonderful open space that accommodates up to 90 in theatre style, 50 people in cabaret and 100 people for reception drinks. 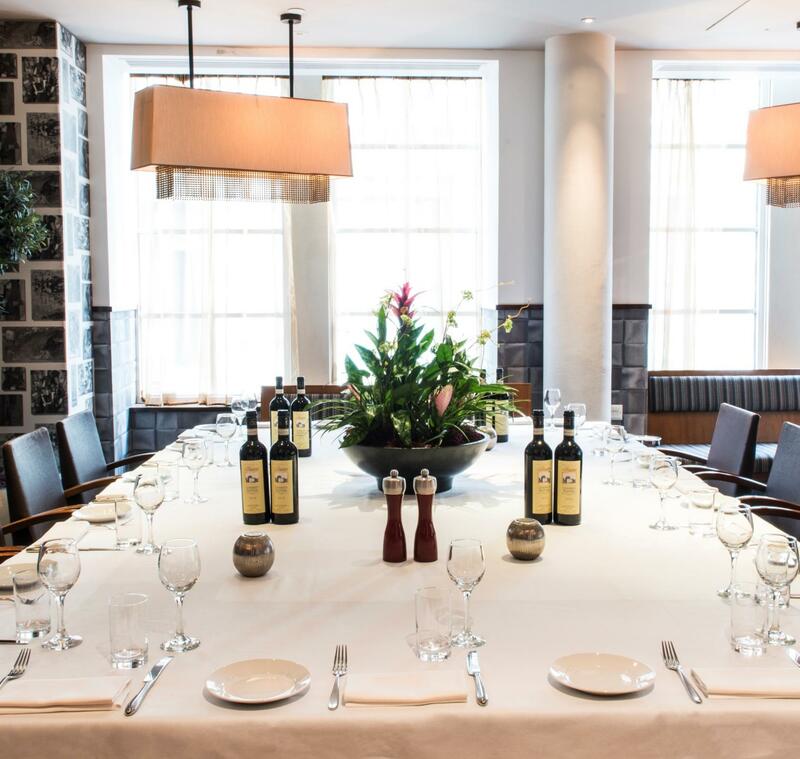 Bridewell 2 is ideal for smaller occasions and private events, accommodating up to 80 people and offering high-tech facilities in an elegant and professional environment in the heart of the capital that can be altered to fit your event concept. 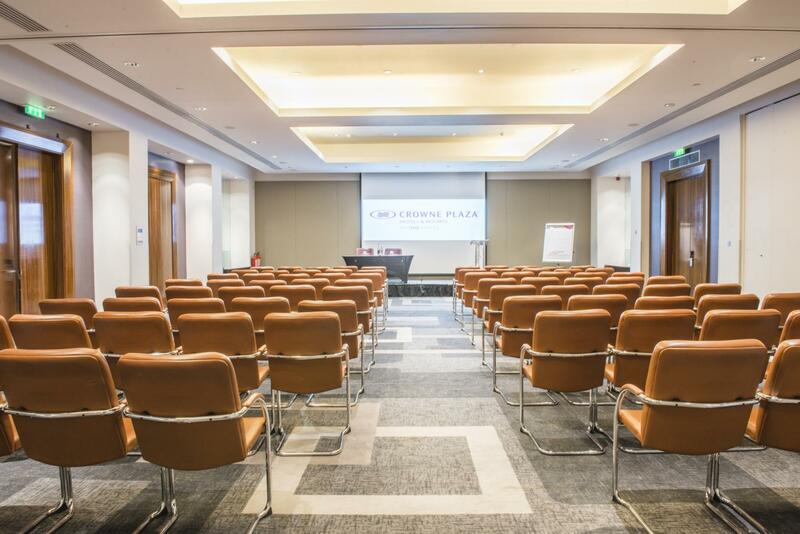 Each boardroom is named after famous roads in the Square Mile district, our meeting rooms are located on a self-contained conference floor alongside the business centre, which is open seven days per week. It is equipped to offer administrative support and everything else you need to stay connected. 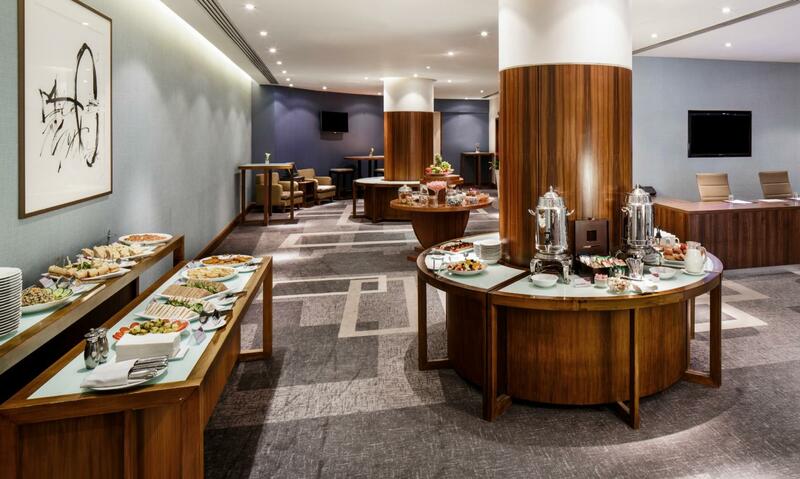 For smaller meetings, our boardrooms are perfectly sized and our meeting floor also features a spacious breakout foyer for your coffee and lunch breaks. 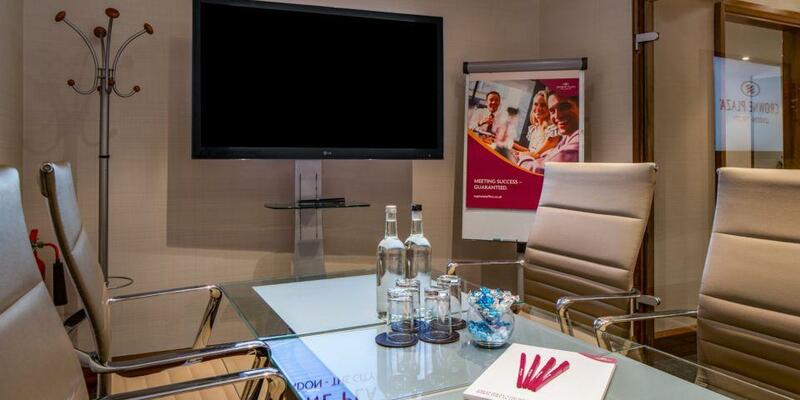 From a fully equipped stationary amenity kit box in every meeting room, a conference hot phone for each meeting organiser, to individually controlled air-conditioning, everything is specified right down to the smallest detail. 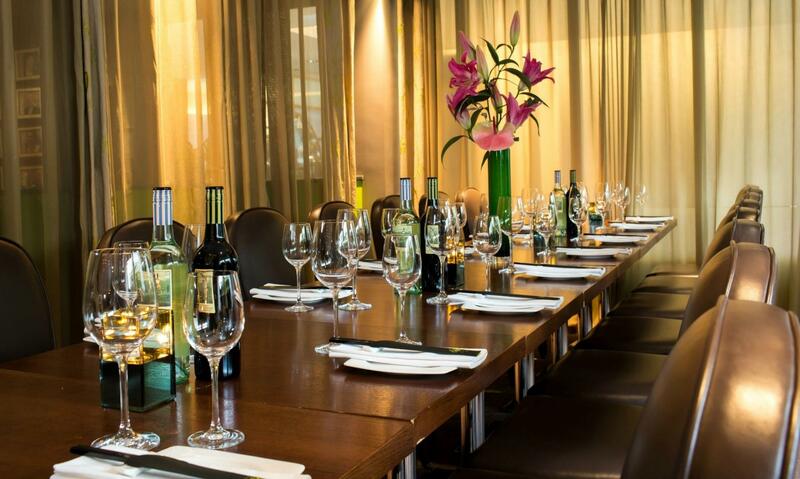 Our private dining room has hosted some very lively dinners for up to 30 guests seated and 35 standing. 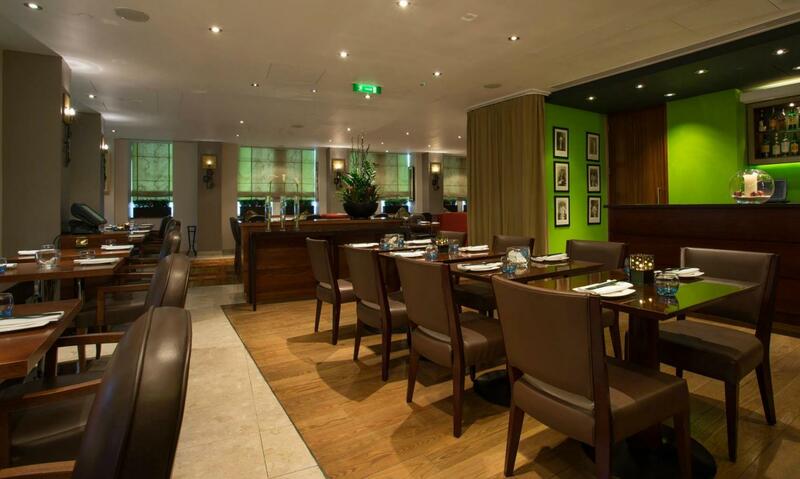 You can also take over Diciannove Italian Restaurant with exclusive hire for up to 80 seated and 90 standing guests and menus from only £30 per person. 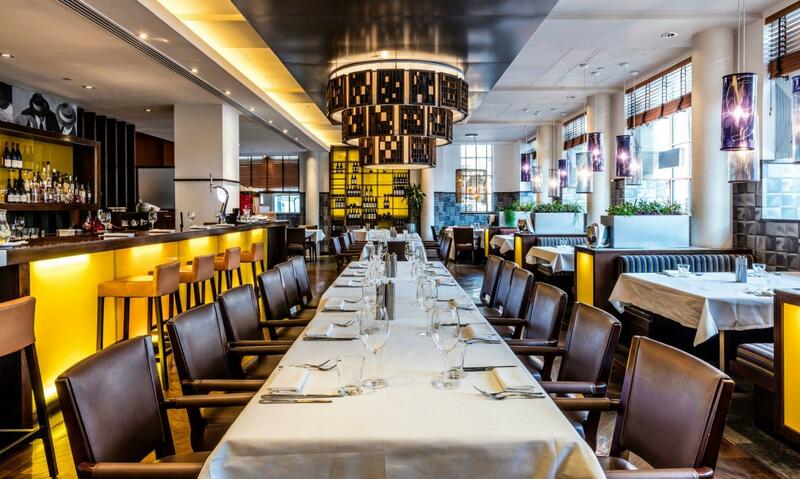 You can also take over Diciannove Italian Restaurant with exclusive hire for up to 80 seated and 90 standing guests and menus from only £30 per person. 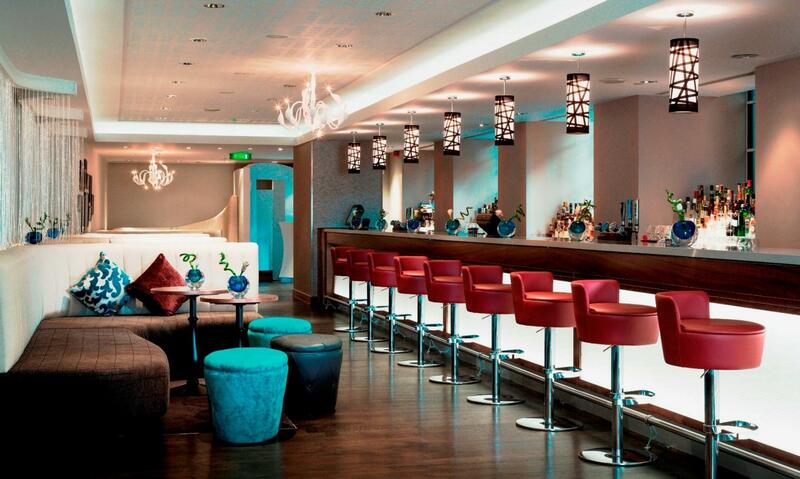 You can also take over Chinese Cricket Club with exclusive hire for up to 80 seated and 130 standing guests and menus from only £35 per person. Let's discuss your plans. Overall a great event, thank you.